Sharing a wedding favorite today on our journal all the way from the Dominican Republic. 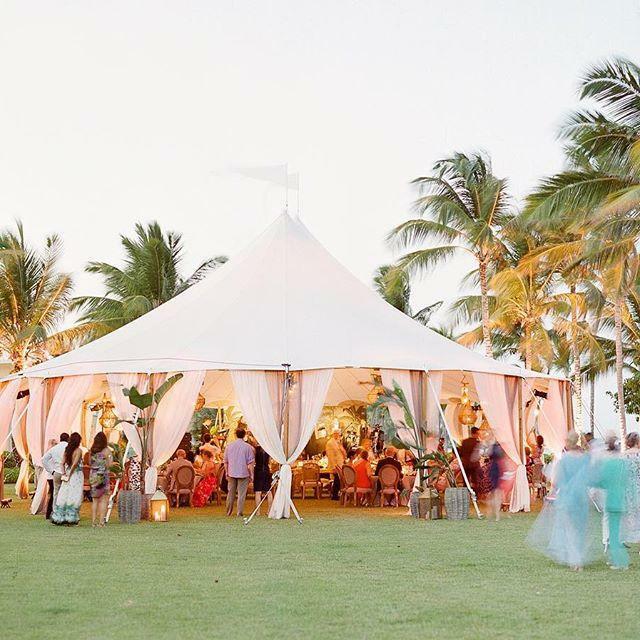 Planned beautifully by @eastonevents, Elizabeth and Sohale celebrated for three event-filled days on @puntacanaresort (designed by @oscardelarenta). One of my favorite details was the ambiance of their reception which was large in part to their Sperry Tent which was brought to the island via barge. It certainly brought the feeling of the whole event together!⠀ See more on our journal, originally featured in @martha_weddings.